The military is preparing to send 800 more troops to the Mexican border to help the Border Patrol, as a caravan of thousands of Central American migrants continues to move north. A defense official confirmed to Military Times that Defense Secretary Jim Mattis will send 800 active-duty troops, not National Guard forces, to bolster the roughly 2,100 National Guardsmen who have already been positioned at the U.S.-Mexico border. These added forces will be providing administrative duties, not law enforcement, but the defense official did not know whether they would be armed or not. CNN first reported on Mattis’ plans to sign deployment orders, and said they will likely help out with fencing and other technical issues at likely border crossing points, and provide tents and medical care for law enforcement there. National Guard could send 2,000 more troops to border, if governors OK the deployment. In an email, Navy Capt. Bill Speaks, a spokesman for the Office of the Secretary of Defense, said the Defense Department is continuing to monitor events on the Southwest border, but did not confirm plans to deploy 800 troops. Speaks said the Pentagon expects to soon receive a request for assistance from the Department of Homeland Security, and is now working with DHS to spell out how the military will support Customs and Border Protection. 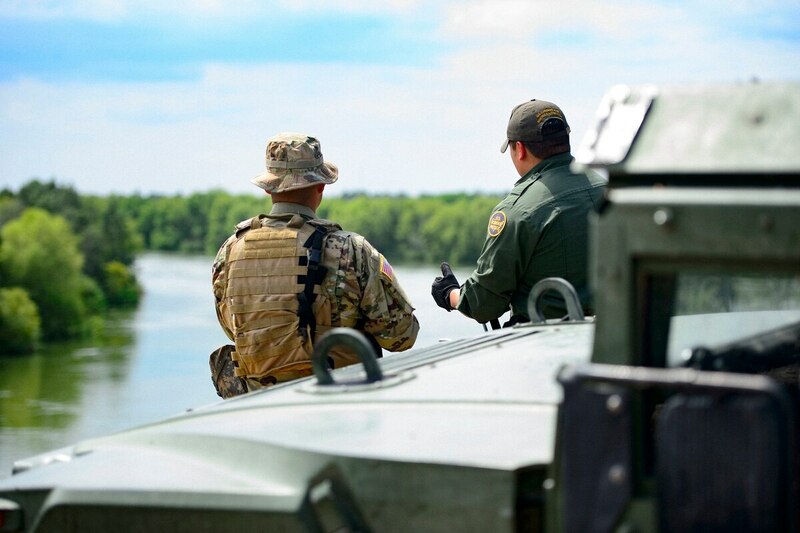 “DoD is committed to continuing its support to ensure the safety and security of CBP personnel involved in border security operations, increase the effectiveness of those operations, as well as support DHS efforts to stem the tide of illegal entry into the United States,” Speaks said. In April, Mattis authorized as many as 4,000 troops to be sent to the border, as long as their states' governors approved. That memo prohibits guardsmen from interacting with migrants, or taking on a law enforcement role. It also allows for the cost of deploying guardsmen to be reimbursed through federal funds. But at least one law enforcement representative has raised questions about the usefulness of such deployments. In May, National Border Patrol Council President Brandon Judd told the Los Angeles Times that Border Patrol agents “have seen no benefit” and that the deployment was “a colossal waste of resources.” The Homeland Security Department disputed Judd’s characterization, and said the Guard’s assistance helped increase apprehensions and seizures of smuggled drugs.